“Our goal is to reduce carbon and to do this we must adopt new approaches by using alternative feedstocks, including existing wastes and residues instead of fossil. Today we have an abundance of carbon in all the wrong places. We can turn it from a liability to an opportunity by using it again and again”. Jennifer Holmgren, CEO of LanzaTech, on of the most dynamic and growing bioeconomy companies at world level, talks to Il Bioeconomista, in an interview released after the Bioeconomy Investment Summit, which was held on December 14 in Helsinki. Mrs Holmgren. Last December you were one of the speakers at the Bioeconomy Investment Summit in Helsinki. What are, from your point of view, the most relevant priorities emerged? There were a number of priorities that emerged. Creation of a Bioeconomy Single Market. Key to this, will be having common defined goals that move us towards a low carbon and circular economy. Such a move will provide a long term and stable framework if it ensures technology neutrality and includes sustainability safeguards. This in turn, will ensure investment stability and enable scale up of a variety of solutions across multiple sectors. 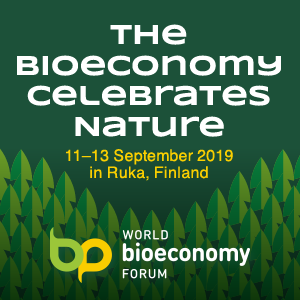 There is a need to consider the interplay between the bioeconomy and the circular economy, to ensure that no sustainable solution is excluded. 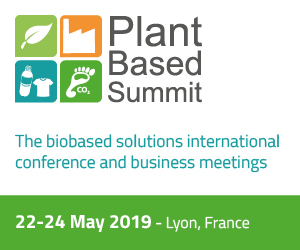 Showcasing how the bioeconomy can benefit everyone, and move from niche to norm, appealing to the investment community and those developing or running other finance mechanisms, such as public/private financing opportunities. These things are critical as the bioeconomy is founded on new technologies and ideas, that will need significant investment from multiple sources to develop and scale. Barriers to investment and scale up are also key. Regulatory policy that is supportive and creates a level playing field to all sustainable solutions will be a key enabling mechanism to unlock investment and promote new technologies across multiple sectors. We need to scale as many technologies as possible which can contribute to our global carbon reduction goals. Absolutely. Our goal is to reduce carbon and to do this we must adopt new approaches by using alternative feedstocks, including existing wastes and residues instead of fossil. Today we have an abundance of carbon in all the wrong places. We can turn it from a liability to an opportunity by using it again and again. Think of the saying “One man’s trash is another man’s treasure” and think of landfill as an example. Trash that is unrecyclable and non compostable is rich in carbon and is either generating methane or being incinerated, emitting CO2. We can prevent the emission of gases from this carbon source by using it as a feedstock for fuels and chemical production, displacing the need for fresh fossil resources that would otherwise be used. 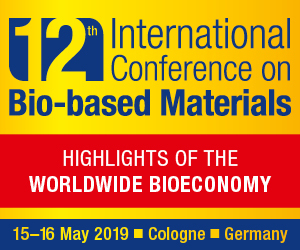 Beyond landfill waste, we can find specific local wastes and residues globally, that provide available, abundant and low cost feedstocks for the development of new materials. By embracing feedstock diversity and making the most of every bit of carbon that we have, we truly embrace the principals of the circular economy and move towards a zero waste, low carbon society. We should takecare, however, to not make “perfect the enemy of the good”. Will we ignore alternative low carbon approaches that have a good sustainability profile, if they don’t fit our definition of renewable? Or will we embrace all sustainable solutions as part of the bioeconomy? I believe if we adopt the latter approach, there is no question that these expectations are realistic as we have seen examples where new approaches are economic, environmentally friendly and can create jobs. In what way, from your point of view, the Presidency of Donald Trump in the US will be able to have influence on the development of the bioeconomy? A core theme for the Trump Administration is job creation and America First. The United States has a wealth of resources that can support a flourishing bioeconomy. Wastes and residues can add value and create new revenues streams for multiple sectors, from farming to industry, supporting job creation and domestic growth. By finding new approaches to limit our dependence on imported resources, the bioeconomy is also an opportunity to increase energy security. The bioeconomy is responsible for the development of new industries across the country, which in turn create new jobs. These things combined show the opportunities available to the United States today, and are alligned with the the goals of the Administration. LanzaTech’s process involves biological conversion of carbon to products through gas fermentation. How does your technology work? While traditional fermentation uses sugars and yeast to make alcohol, LanzaTech uses anaerobic bacteria (originally found in rabbit droppings) to ferment waste emissions from industry and other sectors to make fuels and chemicals. With the first commercial gas fermentation facility coming online in China in early 2018, the advances our team has made in optimizing the bacteria, has enabled us to both demonstrate the production of a wide array of chemicals but also to scale up the production of a number of these including acetone and isopropanol (used to make solvents, resins and personal care products) to the pilot scale. We think of the bacteria as the software and the fermenter at the industrial site as the hardware. Today, LanzaTech provides the bacteria to make ethanol but, in the future, if you want to make something else, you can upgrade or switch out the bacteria. It’s like upgrading software. You can choose what you want depending on the market. All without having to invest in a new production facility or plan years ahead. This is a carbon smart future! LanzaTech has a partnership with ArcelorMittal to build the first plant in Europe to use the waste gases from steelmaking to produce ethanol on a commercial basis. You said this fuel generates 84% fewer greenhouse gas emissions than fossil fuels, and the plant will produce enough every year to run half a million cars. What is the state of the art of this partnership? Our facility in Belgium with ArcelorMittal is currently being constructed and looks set to be operational in 2019. Getting our first commercial facility running is a big goal for 2018! Our first commercial facility will be operating in China this year, showing the conversion of waste steel mill emissions to ethanol at commercial scale. We also want to see a Carbon Smart Future take off. We see this concept beginning to resonate with end users, who see a future where there is a choice in where your carbon comes from. Much like selecting organic or fairtrade produce when shopping, you should be able to choose “carbon smart” products across the supply chain. An example would be in using recycled carbon to make not only ethanol, but converting this ethanol to ethylene for use in polyethylene applications for consumer goods. Our goal is that this becomes a consideration for procurement teams across the supply chain and that consumers start to question where their carbon comes from!